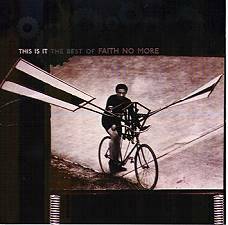 Faith No More is probably still best remembered for "Epic," the song that almost single-handedly created the rap-metal genre. If not for this song, bands like Limp Bizkit, KoRn and Linkin Park would not exist. (I'm not sure if they deserve credit or blame for that, but that's another story.) The truth is that almost fifteen years on, the brontosaurus stomp of "Epic" still sounds amazingly fresh and vibrant. "The Cowboy Song" had an interesting hard-pop arena feel to it. "A Small Victory" has the big-guitar feel of early U2 or Big Country. The true range of the band may be best shown in the choice of two covers here. Somewhat expected is a withering take on Black Sabbath's "War Pigs." The band threw their fans a wicked change-up with their other cover, though, a rather straightforward reading of the Commodores' quiet storm ballad "Easy," where the band almost sounds like Hall and Oates. As with most of Faith No More's choices, it works surprisingly well and became a fluke hit. Copyright � 2003 PopEntertainment.com. All rights reserved. Posted: March 24, 2003.